Stephen M. Miller, MD, PC, FACS, is a board-certified plastic surgeon who is known for surgical excellence and fine-tuned aesthetic judgment. Dr. Miller is a Fellow of the American College of Surgeons and a graduate of the prestigious New York University (NYU) School of Medicine. His advanced training, impeccable credentials and surgical talents have earned him a well-deserved reputation for excellence throughout the Las Vegas area. Dr. Miller has conducted medical research on tubular breast cancer. He has been featured in The Breast Journal and on the Discovery Health Channel. To learn more about Dr. Miller's work, please view the before-and-after breast augmentation photo gallery to the right. Dr. Miller performs breast augmentation surgery with silicone or saline breast implants, in addition to breast lift, breast reduction and male breast reduction for treatment of gynecomastia. During breast implant surgery, Dr. Miller makes small incisions to create pockets for the breast implants, which can be placed either under or above the breast muscle. He has extensive training and experience pertaining to different incision types, which allows him to provide each patient with individually tailored cosmetic treatments that will minimize the appearance of scars and yield the best and most natural results. Dr. Miller combines his surgical expertise with an eye for aesthetics to help his patients determine the desired size, shape and volume of their breasts. Dr. Miller performs breast surgery at a hospital-affiliated surgery center, which is equipped with the latest surgical instruments. He and his carefully assembled medical team strive to provide each patient with safe, compassionate and comfortable medical care. In fact, Dr. Miller is known for personal attention, respect, consideration and sensitivity, which are some of the qualities that have contributed to his reputation as one of the premier Las Vegas breast augmentation surgeons. Dr. Miller offers a wide range of cosmetic procedures of the body and face, including facelift, eyelid surgery, hair transplant surgery, tummy tuck, liposuction and body lift, as well as minimally invasive facial rejuvenation treatments such as Botox injections, wrinkle fillers and laser skin resurfacing. He is proud to offer his patients the latest cosmetic treatments and technologies, including Fraxel re:pair, Thermage, Smartlipo Triplex and Cellulaze. To schedule a one-on-one consultation with Dr. Miller and learn more about your breast surgery options, please contact his office at (800) 406-1834. What Do Patients Say About Dr. Miller? "I had major abdominal surgery when I was a child and three children in my 20s. I had exercised and exercised, but the stomach would not go away. Over the last few years, I have been under a considerable amount of stress with my job and my stomach kept getting bigger. After my husband urged me to get help, we began searching for surgeons to perform a tummy tuck. Dr. Miller came highly recommended from several patients that we had met before we even contacted his office. "The best part about Dr. Miller is his concern for his patients' safety. He is cautious about what he does and how he does it and he will not put you in jeopardy by doing multiple surgeries at one time. He calls you to see how you are doing after surgery and he is insistent about follow-up visits. Stephen M. Miller, MD, PC, FACS, received his undergraduate degree from Union College in Schenectady, New York, and his medical degree from New York University (NYU) School of Medicine. He served an internship and a residency in general surgery at Baylor University Medical Center in Dallas, followed by a plastic surgery residency at Kansas University Medical Center. Dr. Miller is an Advanced Burn Life Saving Instructor and currently serves on the Medical Executive Committee at the Flamingo Surgical Center. He has participated in several research studies of hair transplant surgery and has served as a Co-Investigator for the Markman Method of Hair Transplantation. 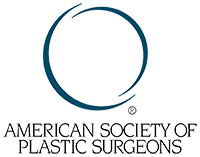 Dr. Miller is a member of the American Society of Plastic Surgeons.